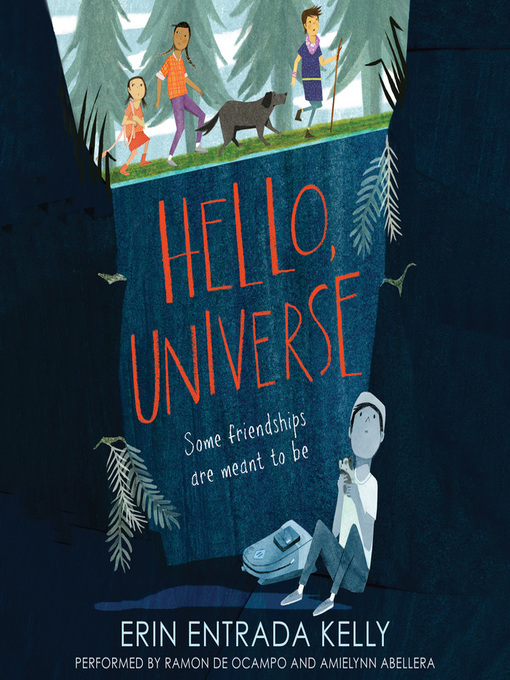 New York Times–bestselling author Erin Entrada Kelly was awarded the Newbery Medal for Hello, Universe. She grew up in Lake Charles, Louisiana, and now lives in Philadelphia, Pennsylvania, where she earned an MFA from Rosemont College. Her short fiction has been nominated for the Philippines Free Press Literary Award for Short Fiction and the Pushcart Prize. Erin Entrada Kelly's debut novel, Blackbird Fly, was a Kirkus Best Book, a School Library Journal Best Book, an ALSC Notable Book, and an Asian/Pacific American Honor Book. She is also the author of The Land of Forgotten Girls, winner of the Asian/Pacific American Award for Literature, and You Go First, a Spring 2018 Indie Next Pick. The author's mother was the first in her family to immigrate to the United States from the Philippines and she now lives in Cebu. Kelly (The Land of Forgotten Girls) offers up a charming novel about a serendipitous friendship that forms among a trio of sixth graders after a bully’s heartless act brings them together. Virgil Salinas, an immensely shy 11-year-old, lives in the shadow of his boisterous family, struggles in school, and wants little more than to hang out with his guinea pig, Gulliver, and friend, Kaori Tanaka, a self-proclaimed psychic. Virgil’s classmate Valencia, who is ostracized at school because of her near deafness, longs for a friend for the summer and hopes that Kaori’s psychic powers might help her vanquish her recurring nightmares. Instead, Kaori enlists Valencia’s help to rescue Virgil after he fails to show up for a scheduled meeting. Kelly rotates among the viewpoints of Kaori, Virgil, Valencia, and neighborhood bully Chet, who contribute their own distinct stories, voices, and challenges. Infused with humor and hope, this book deftly conveys messages of resilience and self-acceptance through simple acts of everyday courage. Readers will be left inspired to tackle life’s fears head-on. Ages 8–12. Agent: Sara Crowe, Pippin Properties.